So one thing the Wellness Center does not have is good pull up equipment. The choices are a lame power tower or moving the smith machine bar to it’s highest setting which is still way too low for good form pull ups. Well today I saw someone utilizing the power tower for a new movement that I have named PHB’s (pulsating head bangers). 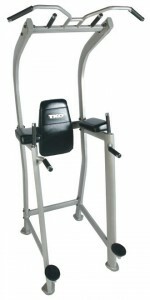 The power tower has neutral grips inside the conventional pronated grip bars in the tower. They are relatively close together, maybe 8-12 inches apart. Well there was a man on the tower doing “pull ups” however the front of his body was facing away from the tower, placing his head squarely under the neutral grips. He then began his reps which consisted of banging his head on the nuetral grips, pulsating downward no more than 6 inches and bouncing upward again for another cranium impact. I’m not sure if he intended to have an artificial head stop in his reps or if he just didn’t realize the benefits of turning the other, obstacle free way. Regardless I don’t think he accomplished much besides a mild headache. I did my first upper body pressing work in at least two weeks after injuring my shoulder doing decline bench. I was nervous as I did my first few bench press reps. I could feel the affected area through the range of motion but no outright pain so I continued. I kept the weight light, not going above my 185 pound body weight. Hopefully there won’t be any repercussions other than normal soreness this week.